MOTORISTS HAVE BEEN advised to avoid alcohol and take extra care over the busy Christmas period. The Road Safety Authority has issued a warning about drink-driving, noting that alcohol is a factor in two out of every five fatal road crashes in the lead up to Christmas. The RSA has noted that motorists may also not be in a position to drive in the morning if they have been drinking the night before. One in 10 (11%) fatal collisions at this time of year in which a driver had consumed alcohol occur between 7am and 11am. Meanwhile, almost half of all pedestrians killed on Irish roads have been drinking alcohol. “Drink-driving at any time of the day is drink-driving, that’s why you must take extra care the following morning if you have been drinking the night before, as you may still have alcohol in your system. “It takes roughly one hour for your body to get rid of one unit of alcohol, that’s a half pint, a standard glass of wine, or one shot. “If you got to bed in the early hours and didn’t get a good night’s sleep, this will magnify the impairing effects of any alcohol in your system. The only cure is time,” a spokesperson said. Today is expected to be significantly busier on routes across the country as many people drive home for Christmas. According to AA Ireland, traffic levels in Ireland have been at their heaviest in recent years and are unlikely to ease off until Christmas Eve. “We expect an exodus from cities across Ireland [today] as the first wave of those travelling home for Christmas make their departure,” Conor Faughnan, AA Director of Consumer Affairs, said. 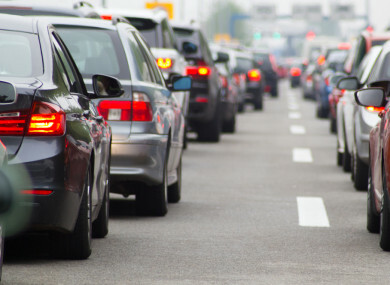 We’re urging people to take extra precautions when driving over the coming days as not only will traffic volumes be significantly higher on motorways and in towns across the country, but you will also have a much larger number of motorists driving on routes they’re less familiar with. Last year, AA Rescue, the organisation’s breakdown assistance service, attended an average of 315 breakdowns a day between Thursday 21 December and Saturday 23 December. On New Year’s Eve 2017 and New Year’s Day 2018, AA Rescue attended 402 car breakdowns. Email “Motorists told to avoid alcohol and take extra care ahead of 'Christmas exodus' ”. Feedback on “Motorists told to avoid alcohol and take extra care ahead of 'Christmas exodus' ”.